Obama, Clinton and Edwards are all huge draws in Iowa. For the three of them it&apos;s usually more an issue of less space than people. 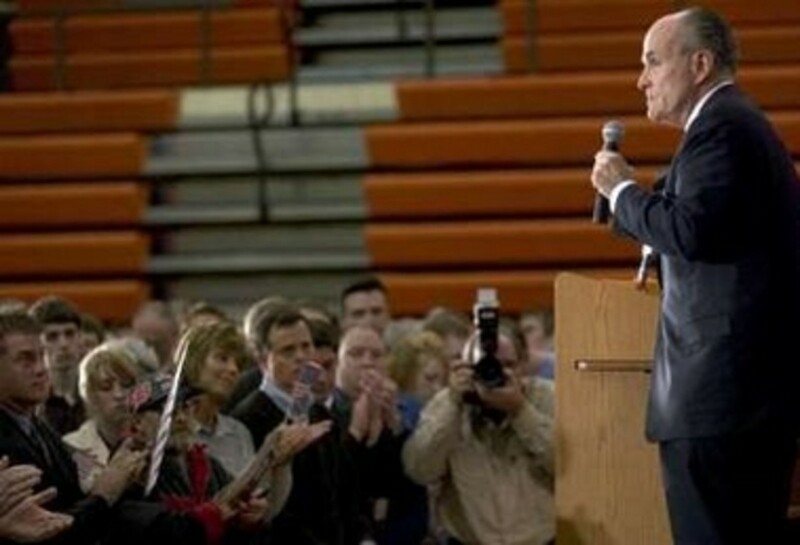 Rudy Giuliani, supposedly the Republican front runner can&apos;t fill a high school gym. The couple hundred people listening in the high school gymnasium gave him a polite but hardly rip-roaring reception. A partition divided the gym to make it appear better attended than it was. Dozens of those who showed up didn&apos;t look old enough to vote. Handmade signs hung from a blue curtain behind the podium. Just before the candidate took the stage, a few in the audience tried to start a "Rudy, Rudy, Rudy" chant. It was a halfhearted effort that died quickly.